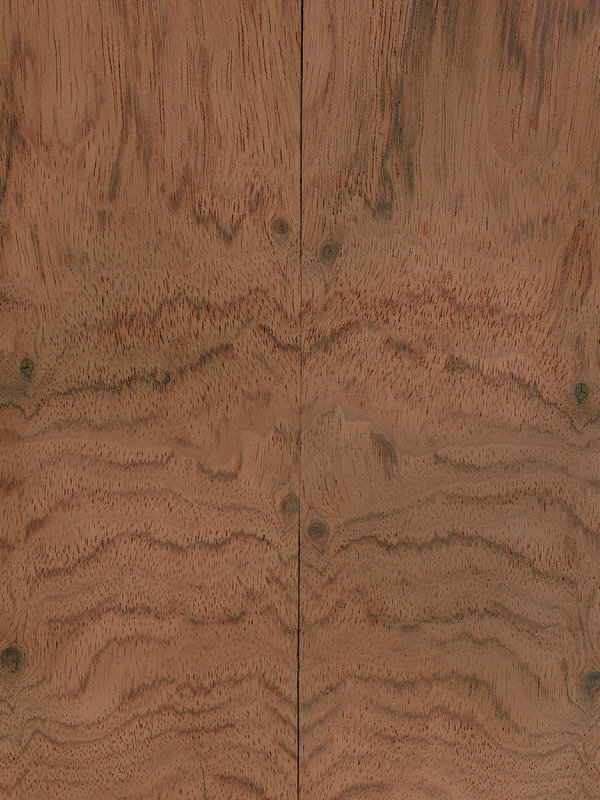 Bubinga, also known as Kewazinga, Kevasingo (when rotary-cut) or African Rosewood can be found in Cameroon, Gabon and Zaire, drier regions in the lower tropical rain forests on the Western of Africa. These trees often reach very large sizes and the timber itself is extremely heavy. Round logs have been known to weigh as much as nine or ten tons on occasion. Good looking and versatile, this african hard wood veneer is produced as crown, quartered and rotary-cut veneer. It is quite wide as the trees from which it is obtained grow to be very large. Its fibre can be straight or slightly intertwined, sometimes it can also be wavy. Grain varies from thin to medium. Bubinga´s colour is generally a warm reddish brown with distinctive purple red veining. The colour of sapwood is whitish or reddish gray and the heartwood is brownish-grey and reddish-pink old. The sapwood are clearly separated. There are numerous thin and discontinuous streaks of purple, pink or red colour and some wider and diffuse brown streaks. An attractive surface for architectural woodwork. Despite its great hardness Bubinga is relatively easy to work. Each distinctive cut yields an attractive surface for furniture and interior decoration depending on the individual design or style required. Bubinga Crown Cut and its warm reddish brown colour with purplish-red veining, is hugely demanded for higher quality architectural woodwork and mass-produced furniture, paneling and parquet flooring. As a very decorative veneer, Bubinga can suit perfectly as in warm atmospheres, as in classic spaces or give a very distinctive perspective to modern and minimalist architectural projects.